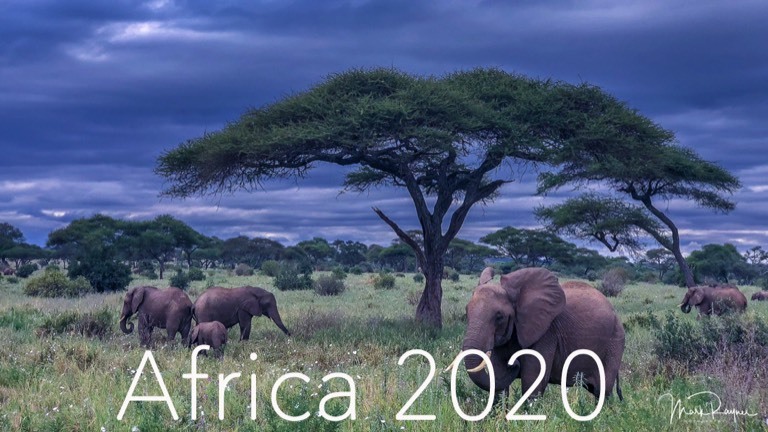 Please come and join Australian professional photographer Mark Rayner on an amazing photography journey of a lifetime through Africa. ARUSHA This attractive little town is situated beneath the towering peaks of Mt. Meru and Kilimanjaro. 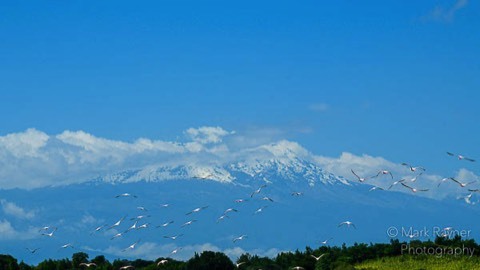 Arusha Town, renowned as the safari capital of Tanzania, offers a plethora of attractions and adventures. The town has numerous first-class restaurants, bars and markets to browse, and is the ideal place to spend a few relaxing days before embarking on a safari or attempting to scale Kili. Not-to-be-missed is the Arusha National Park (in Ngurdoto Crater), the National Natural History Museum, the Laetoli Footprints (set in volcanic ash, dating back 3 500 000 years) and the beautiful coffee plantations, which dot the landscape. RIVERTREES COUNTRY INN. Rivertrees, nestled between Kilimanjaro and Mount Meru, in natural gardens along the Usa River. OUR OWN PRIVATE SAFARI - TANZANIA. Thus is the ultimate adventure for any couple, family or small group seeking a personal and unique safari experience in Northern Tanzania. 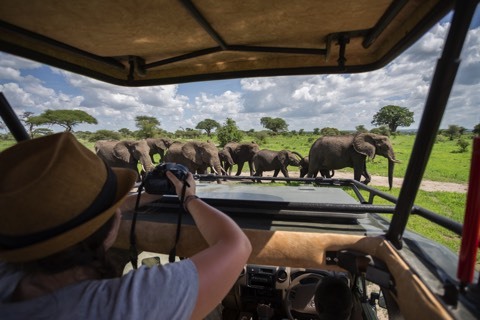 From the moment you arrive, you're greeted with a warm smile by your very own private guide and travel in a custom built 4x4 for comfort and ultimate game viewing. 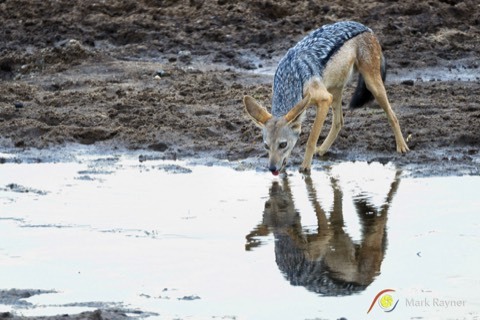 Our hand picked safari guides ensure you experience what you came here for, be that landscapes, wildlife, culture or a combination of all three! It's the very best way to ensure quality time and an authentic experience together without worrying about other guests and set schedules. By day explore the wilderness in search of wildlife at your own pace. In the evenings, you arrive or return to camp where you have the opportunity to socialise with fellow guests, join them for dinner and share stories around the campfire. Your private Tanzania safari includes: Meet and greet on arrival at the airport, exclusive use of a custom built 4x4 vehicle complete with cooler box and cold water, the service of an experienced English speaking driver/guide during the safari sector, transfers as specified, game drives and crater tour as specified, all accommodation and meals as specified, park fees and government taxes. Of course, Michael and Mark will be on hand throughout offering guidance and tuition as needed o ensure you return home with an amazing collection of images and new photography skills. there and a picnic lunch is included. It's a great trial day for photography in Tanzania! 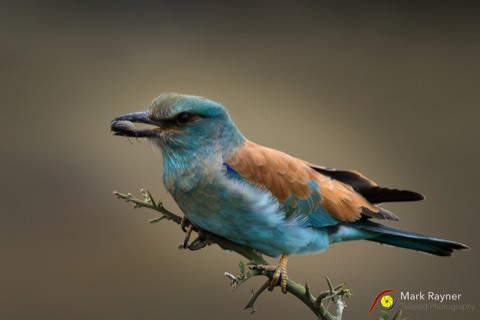 a wide range of smaller animals, plenty of birds and breathtaking highland Afromontane forests. 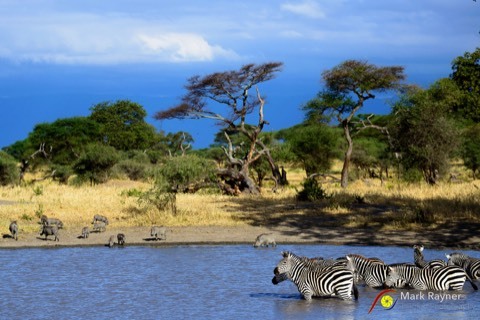 TARANGIRE NATIONAL PARK is an outstanding and fortunately quiet park with wide views to distant volcanic mountain ranges. 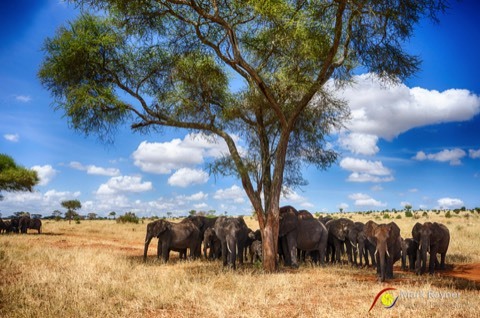 Tarangire covers 2600 square kilometres of grassland and floodplains, and a large proportion of tall acacia woodland just south of the open grass plains of southern Maasailand. Tarangire has regions of quite dense bush, but with high grasses and huge old baobab trees instead of the green forests of Manyara. 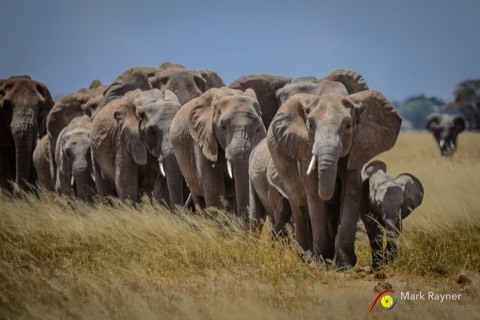 The land is hilly and dominated by the impressive valley of the Tarangire River, which attracts good numbers of migrant animals during the dry months, especially between July and September. 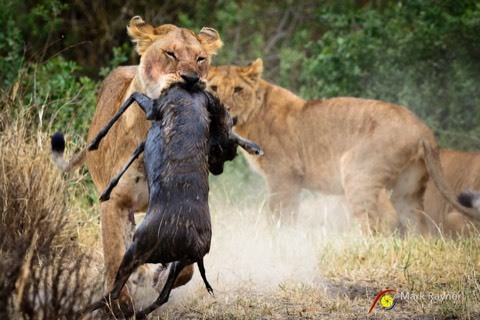 During the dry months the concentration of animals around the Tarangire river is almost as diverse and reliable as in the Ngorongoro Crater, but the ecosystem here is balanced by a localised migration pattern that is followed by most animals other than lion, who don't tend to abandon their territory. permanenttents positioned ina lovely setting with enough space between you that you are not on top of each other. runs from June to 31 March each year. This morning, it's time to check out. 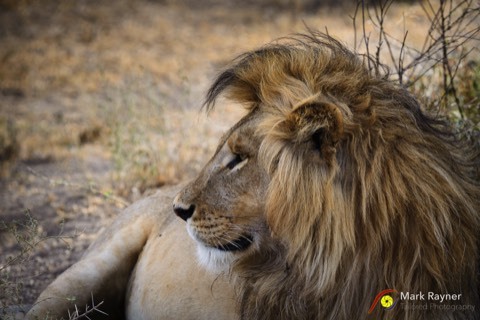 Meet your private guides and two safari vehicles and transfer in convoy to Tarangire National Park. On arrival, check in and spend two nights at Tarangire Ndovu Camp with all meals included. Spend the next few days enjoying morning and afternoon safari activities with your guide, tracker and fellow guests. enjoying morning and afternoon safari activities with your guide, tracker and fellow guests. Optional (extra cost) balloon flights are also available. 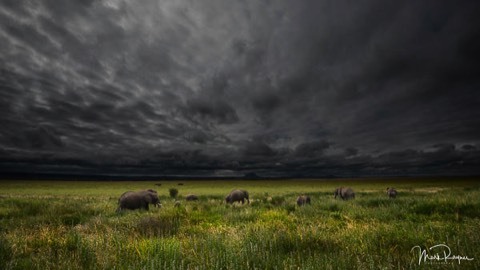 SERENGETI NATIONAL PARK is a vast expanse of flat savannah grasses stretching from horizon to horizon - broken only by an occasional gnarled acacia and rocky kopje - the Serengeti has some of the highest wildlife concentrations in the whole of Africa. 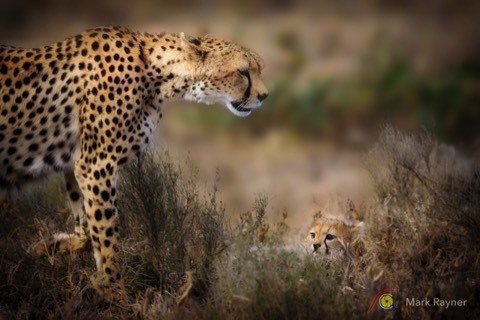 Year round it is one of the best places to see the "big five"; elephant, rhino, lion, leopard and buffalo. 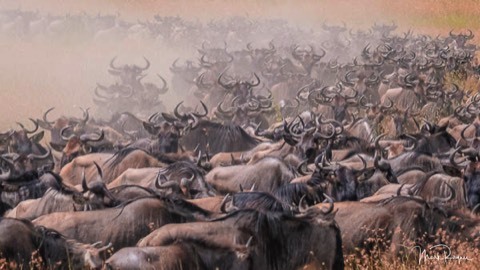 And during the great migration it is also home to over a million migrating wildebeest and zebra - one of the most scintillating wildlife spectacles on the planet. 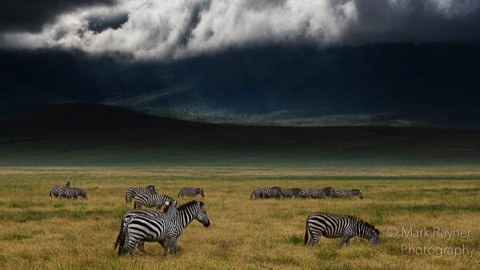 The endless plains to the south were formed more than 3-million years ago when the then active Ngorongoro volcano deposited ash onto granite bedrock. the verandah to watch the sun set on the horizon. in Africa, close to Seronera Airstrip. before returning to your accommodation in the afternoon for an evening at leisure. NGORONGORO CONSERVATION AREA The 8,300 square kilometre Ngorongoro Conservation Area is named after it's central feature, the Ngorongoro Crater, which is the world's largest intact volcanic caldera and within which has evolved an extraordinary natural sanctuary for some of Africa's densest populations of large mammals. The crater floor itself is 260 square kilometres and, from the viewing points at the rim, the vast herds of wildebeest, buffalo and zebra look like mere ant formations winding their way across the grassland below. The crater is also home to a great diversity of environments and you may encounter all of the large herbivores mentioned above as well as lion, hyena, jackal, male elephant (females and family groups tend to stay up on the higher slopes) and, in the forest around the rim, occasional leopard and bushbuck. There is an active black rhino breeding project inside the crater and you may be lucky enough to spot some of these magnificent, shy beasts during your tour, but sightings are limited as breeding areas are strictly protected and usually closed to public access. 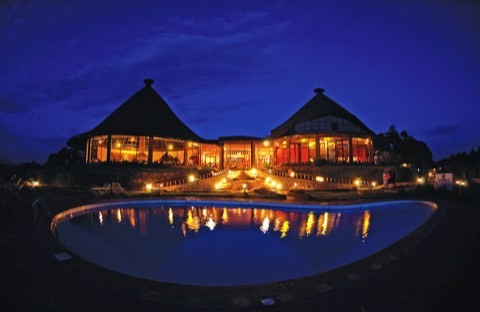 NGORONGORO SOPA LODGE is spread out along the uppermost rim of the Ngorongoro World Heritage Site, an ancient extinct volcano that contains the largest permanent concentration of game in Africa. 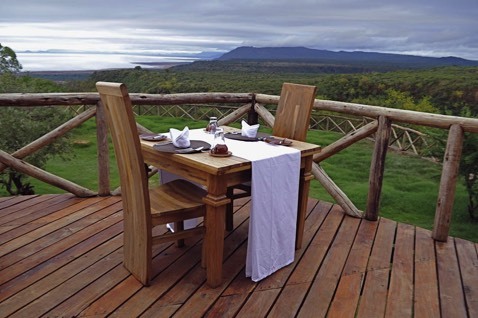 Ngorongoro Sopa offers perhaps the most breathtaking views of the crater floor far below. Accommodation is well appointed with individual rooms that are spacious with ensuite. Most boast views into the Crater. Other resort features include a private solarium with outstanding views of the crater floor below and a fantastic swimming pool that sits on the very edge of the crater itself, the ideal location to relax, unwind, enjoy the views and breathtaking sunsets and outdoor bar and seating area. The biggest selling point to this lodge over others is its location and close proximity to the road down into the crater. You will be one of the first into the crater early morning and savour a few hours before the onslaught of safari traffic! NGORONGORO CRATER SAFARI In 4x4 you’ll head off to the access road and descend into the crater (best to go early to beat the crowds). 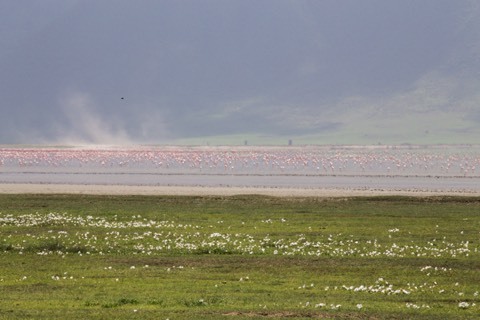 Ngorongoro Crater is open 06h00 until 18h00 except for the Seneto Descent Gate which closes at 16h00. Access roads include the Seneto (descent only), Lerai (ascent only) and Lemala (Sopa) which is both descent and ascent. 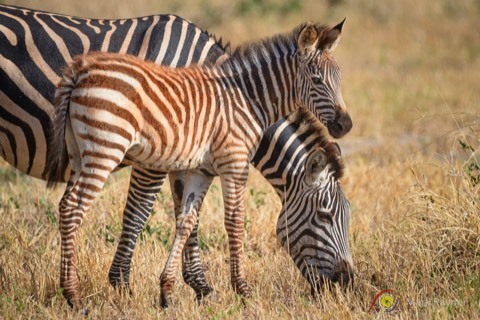 Experience an exciting game drive as you immerse yourself in the world’s largest volcanic caldera with the highest concentration of wildlife! Most times, you'll enjoy a picnic lunch on the crater floor. If you stop for lunch, please ensure you remove all litter and food scraps. Importantly, please do not collect or remove any animal product, rocks, plants, seeds or nests. After lunch, it’s time to exit the Crater, ascending the walls and glancing back for one last view into the spectacular caldera. TIP : Take a warm jumper with you as it can be quite cold on the crater floor! REMEMBER: The Ngorongoro Crater is a naturally formed, ancient caldera and therefore a confined space for wildlife and visitors, so you will really notice the vast number of vehicles throughout the day. Vehicles must keep to authorised roads and tracks, no off roading and the speed limit is 25 kilometres per hour. There is a limit of 5 vehicles at any given time around an animal sighting or kill. It is a beautiful natural phenomena and worth seeing, even if the vehicle traffic is frustrating. You don't have to stop for lunch if you prefer to eat once you leave the Crater as the designated picnic spots also get very congested. in time to check in and catch your outbound flight. 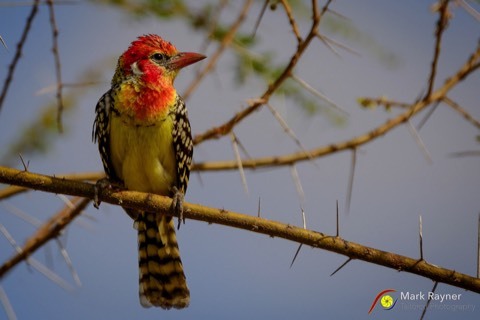 LAKE MANYARA NATIONAL PARK offers a wilderness experience in diverse habitats, from its Rift Valley soda lake,ground water forest, acacia tortillis woodland, hot springs called Maji Moto and steep mountainsides. Apart from a spectacular setting, the park is famous for its unusual tree-climbing lions and elephant herds it was established to protect. The shores of the lake, encrusted with pink flamingo when algae is present, attract more than 400 species of birds, many of them waterfowl or migrants. 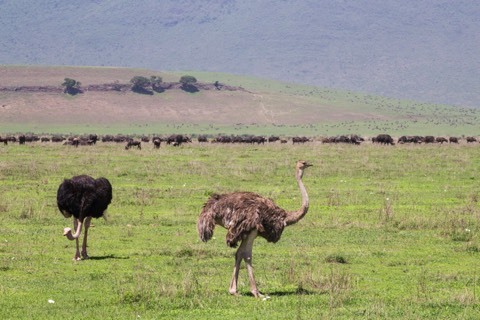 Large herds of buffalo, Masai giraffe and impala roam the lake shores and the forested valley slopes. Cheetah call Lake Manyara home, however difficult to spot. So all in all, a Lake Manyara safari is a fascinating experience. It's certainly worth a morning game drive enroute to Ngorongoro Crater. MANDHARI LODGE Aligned with soaring flamingos, Mandhari Lodge is situated high on the Manyara Escarpment which forms part of the Great Rift Valley. ‘Mandhari’ means ‘view, scenery, landscape’ in Swahili, and with a bird’s eye view of the great expanse from Lake Natron to Mondulli Mountains and across Lake Manyara, this lodge offers breathtaking views from sunrise to sunset. Swaddled in the colours of the earth, the lodge offers a unique medley of accommodation options; nine dramatic, glass-fronted standard suites, one honeymoon suite, one cosy family suite for up to 4 people and one incredible 4-bedroom (up to 8 people) Nasikia Villa with private plunge pool. All suites and villa have an unob- structed view across the dreamy landscape below. The large, core gathering area of reception, dining, lounge, bar and swimming pool is largely an open eucalypt platform filled with hand-crafted furnishings and woven delights. Use the lodge to delve into the hearts of Tarangire National Park, Lake Manyara National Park and Ngorongoro Crater – or simply remain in the grasp of its surroundings with an extensive range of cultural delights to absorb: traditional spa treatments, highlands hiking, Tinga Tinga painting lessons, Swahili cooking lessons, African drumming, customary dancing, the ancient art of yoga and more. Welcome to soulful Tanzania..
Bring the Journey to life . Click here for your virtual itinerary tour. Insurance is compulsory for all travellers and we strongly recommend that insurance be issued at the time of paying your deposit. This will cover you against loss of deposit in the event of cancellation, provided of course that the reason for cancellation falls within the terms and conditions of your policy. You will need a ten year passport for travel to all destinations. We recommend that your passport is valid for at least six months following your due date of return. Your passport must have a minimum of TWO blank visa pages per country visited (excluding endorsement pages). This is a condition of entry set by the Department of Immigration of most countries and guests will be refused entry especially into South Africa if this requirement is not met. You will require the correct visas for all of the countries that you are travelling to – Encompass Africa cannot be held responsible for entry refusal for any traveller. If you have any queries about obtaining visas please contact the relevant embassies and/or consulates. It is your responsibility to ensure vaccination certificates and other health documents are in order prior to departure. Advice on health requirements may be obtained from your GP or a specialist Travel Doctor. Yellow fever vaccination and malaria precautions are essential in Tanzania. Consult your GP or travel doctor. ✓ Accommodation on shared basis. ✓ Meals as stated on the itinerary. ✓ Meet and greet services as stated on the itinerary. 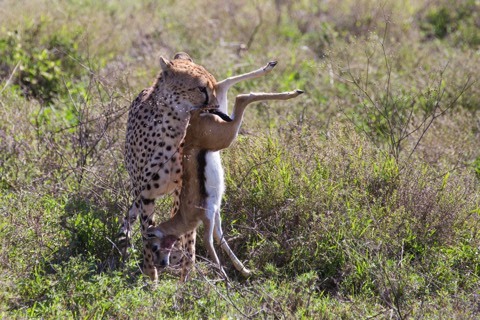 ✓ Game drives and safari activities as stated on the itinerary. ✓ Services of guides and accommodation staff. ✓ All road and light aircraft transfers as stated on the itinerary. ✗ International, regional and domestic flights not stated in itinerary. ✗ Visa and visa fees where relevant. This workshop is limited at 7 participants to ensure a high student/tutor ratio.